Let’s imagine you create a Virtual Machine in Azure, then you install and configure your Active Directory inside this VM called “DC1”. Now, you create another Virtual Machine called “Win16-1” and you just want to join this VM to your AD Domain. 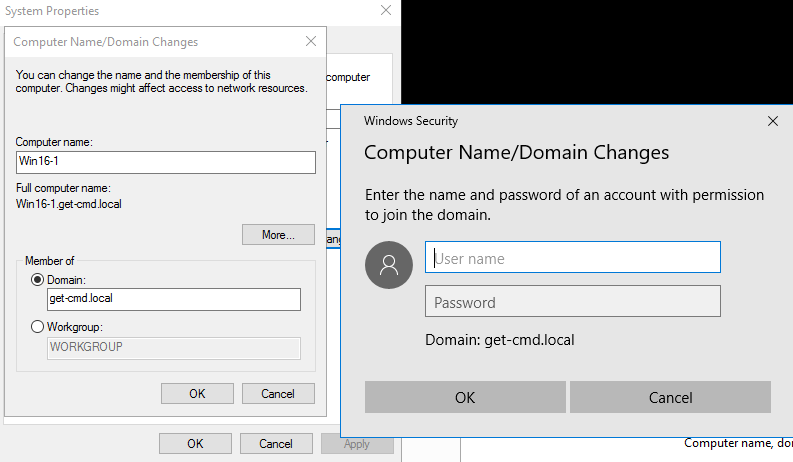 To perform this task, you must configure the DNS on the network adapter of the “Win16-1” VM to indicate your DNS Server. However in Azure, you should not modify the network settings directly in the network adapter. 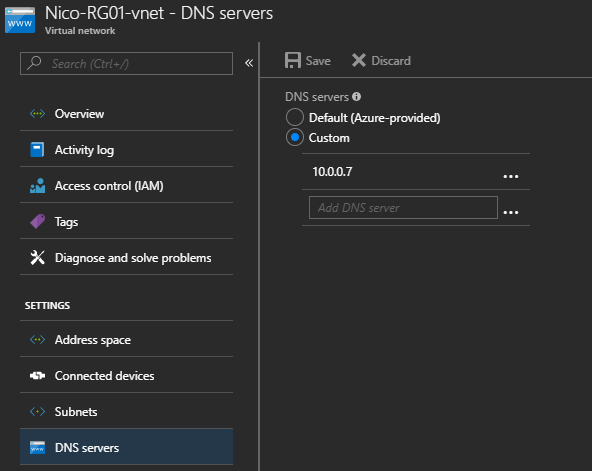 How to configure the DNS settings? In this case, DC1 and Win16-1 are in the same Azure Virtual Network. The first step is to retrieve the private IP address of DC1. In my case, the IP Addr is 10.0.0.7. Now, you must configure a custom DNS in your Virtual Network. Add the IP Address of DC1 which is my Domain controller with the DNS role and Save the new settings.